We provide management information specific to each sample and frequently we work with a client via phone or email after their sample is diagnosed in order to help them achieve management of their problem. As part of the ISU Integrated Pest Management (IPM) Program here at Iowa State University we focus on helping clients manage their problems using a variety of IPM-based methods. The majority of our samples were soil samples (55%) followed by plant problem diagnosis (34%) and lastly insect, plant and mushroom identifications (11%). We process and count nematodes from soil samples. Most of the soil samples are to count the eggs of soybean cyst nematodes (SCN). These egg counts let farmers know if their rotation is working to prevent high numbers of SCN in their fields. We also provide complete nematode counts for our clients. This consists of soil from turfgrass and corn fields to look for adult nematodes that feed on grasses. If populations of certain nematodes are high they can damage plants. 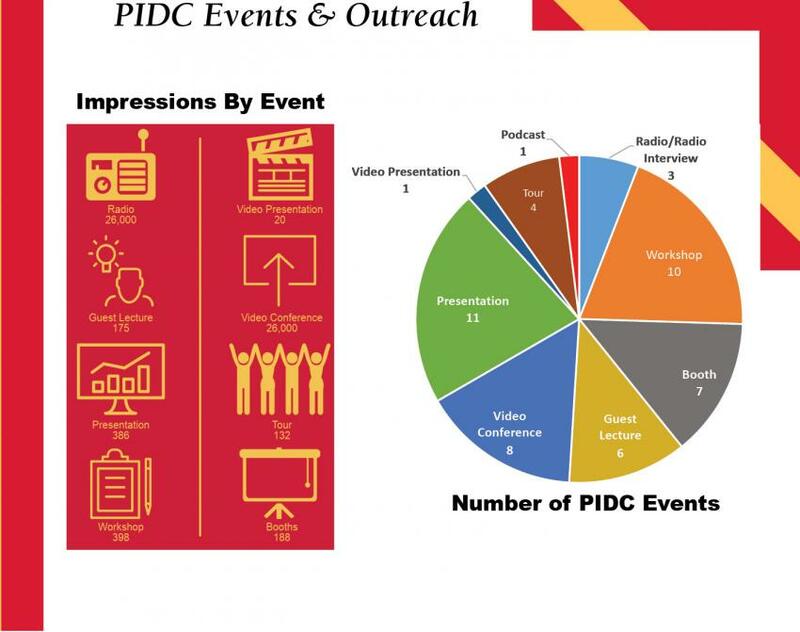 Breakdown of the 1,521 samples processed in 2018 by the PIDC. 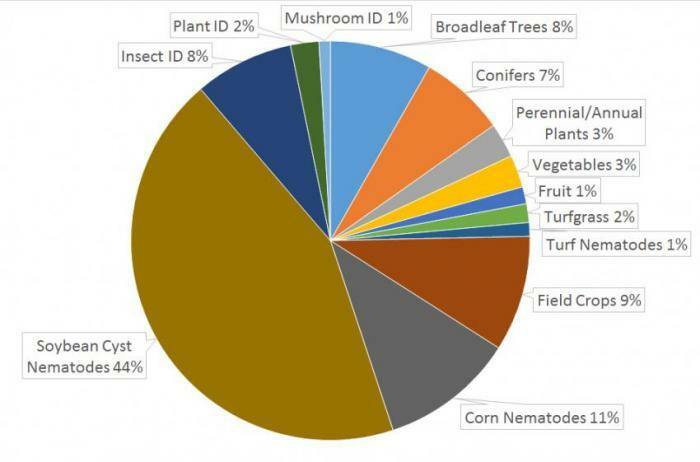 In 2019 we diagnosed the following problems: pathogens (42%), insect damage (20%) and environmental (33%). On plant samples, we often diagnose more than one problem. For the most interesting plant diseases we saw in 2018, see our article Plant and Insect Diagnostic Clinic - 2018 Year in Review! We continue to implement and offer DNA-based diagnostic techniques for plant pathogens. We have implemented the rapid detection of tan spot on soybeans, a disease caused by the bacterium Curtobacterium flaccumfaciens. We continued offering specific DNA tests for Ceratocystis fagacearum (the pathogen that causes oak wilt), Agrobacterium (crown gall), Erwinia amylovora (fireblight) and Hops downy mildew, as well as general identification (barcoding) for fungal and bacterial pathogens. Plant & Insect Diagnostic Clinic personnel contribute to university instruction and research by providing guest lectures, contributing to course development, grant writing and research activities. We contribute to many extension programs such as Master Gardeners, Shade Tree Short Course, Pesticide Applicator Training, and many more. Below is a snapshot of the types of activities we do and the number of people we contact through these activities. Links to this article are strongly encouraged, and this article may be republished without further permission if published as written and if credit is given to the author, Horticulture and Home Pest News, and Iowa State University Extension and Outreach. If this article is to be used in any other manner, permission from the author is required. This article was originally published on January 18, 2019. The information contained within may not be the most current and accurate depending on when it is accessed.